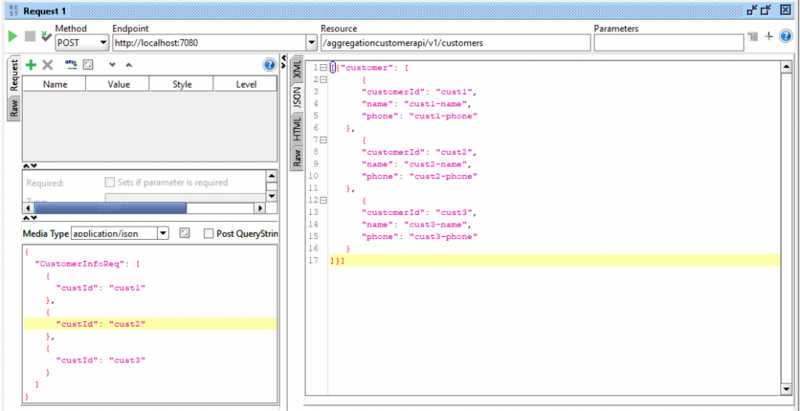 In this tutorial, we’ll explore an IIB Aggregate nodes sample with HTTP web services. Aggregation is a scenario where we receive single input message, derive and generate multiple related requests and fan-out the same to back-end. Thereafter, we fan-in the corresponding replies to produce a single aggregated reply message. As per IBM definition, Aggregation is an extension of the request/reply application model. It combines the generation and concurrent fan-out of a number of related requests with the fan-in of the corresponding replies, and compiles those replies into a single aggregated reply message. IIB as a product makes it easy to implement complex integration scenario with Aggregation support. 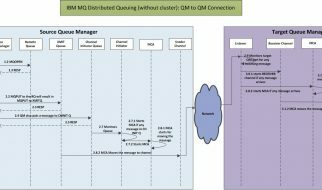 There are few articles (for example, here and here) in IBM site that explain the usage of aggregate nodes but all of them use additional MQ queues to support aggregation. In this tutorial, my goal is to demonstrate the aggregation of HTTP(s) based webservices without using any additional MQ queues. In this demonstration, I’ll also add further complexity where you won’t know the number of time you need to call back-end services beforehand; instead you need to look at the input data to determine how many times you need to call the back-end. AggregateControl node – It marks the beginning of a fan-out of requests that are part of an aggregation. 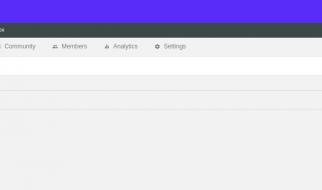 AggregateRequest node – It records the fact that the request messages have been sent. It also collects information that helps the AggregateReply node to construct the aggregated reply message. AggregateReply node – It marks the end of an aggregation fan-in. It collects replies and combines them into a single aggregated reply message. This node creates the LocalEnvironment.ComIbmAggregateControlNode folder that contains aggregated responses along with many other information. We can also create alternative storage queues as well. This is the reason, for IIB to execute aggregation scenario, the integration node MUST have an associated MQ Queue Manager. An application wants to create a dashboard with customer ids and their names, phone numbers. The application has access tot he customer id but wants to retrieve the name and phone number from a back-end system. We’ll build one message flow that receives the input with multiple customer id, generates one request for each of the ids and invokes the back-end service. It also collates each of the responses from back-end and responds back to the the consuming app with an aggregated reply. One messages flow that works as legacy back-end service that recievs receive one customer id and responds back with corresponding details. I have also created an integration server named default. I used the toolkit for creating it. The toolkit will create a REST API Project with above information. Double click on the REST API Description in Application Development pane. The REST API description window will open up. Here, we’ll create the API resource needed for us. Click on the icon on the right to create an implementation subflow of this newly created operation. Refer to the red encircled icon in the below picture. Click on the icon on the right to create an implementation subflow of this newly created operation. Next, we’ll build the aggregation logic in the newly created subflow. I’ll not explain each node as such. It’ll be pretty much self explanatory when you look at the following picture and the property of each node, I made changes to. Well, now the development is complete and we will drag both the REST API Services to the default integration server of LOCALNODE integration node. This will ensure that both the APIs are deployed. NOTE:- The port of the IIB flows depend on your environment. Ensure to cross check that and update the same in the Split compute node accordingly. This is where we are creating the target back-ends service URL and setting in the LocalEnvironment. I hope this tutorial helps you implementing such solution where you want to implement aggregation based on purely web services and you don’t want to use separate MQ queues. Please let me know should you have any question, comment.